Apologies for not having updated the blog for a couple weeks. As some of you already know, due to the painting of the ceiling in St. Stephen's Church, all Masses have been moved either to the rectory chapel or school gymnasium. Sunday Masses are in the gym; weekday Masses in the rectory. You may have noticed in the "Upcoming Events" section on the sidebar that St. Stephen's was going to offer high Mass for Candlemas Day, Thursday, February 2. This has been cancelled due to scheduling conflicts. 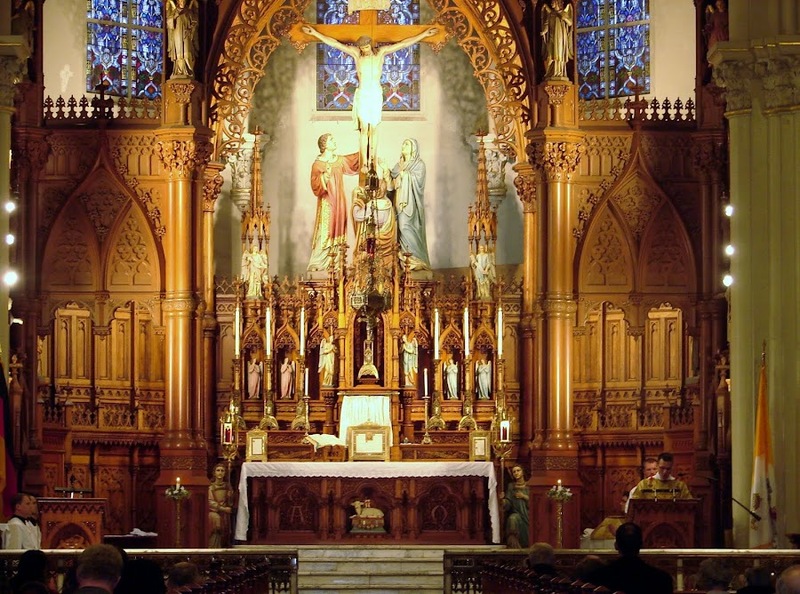 Therefore, the regular Thursday evening low Mass will be celebrated in the rectory chapel. 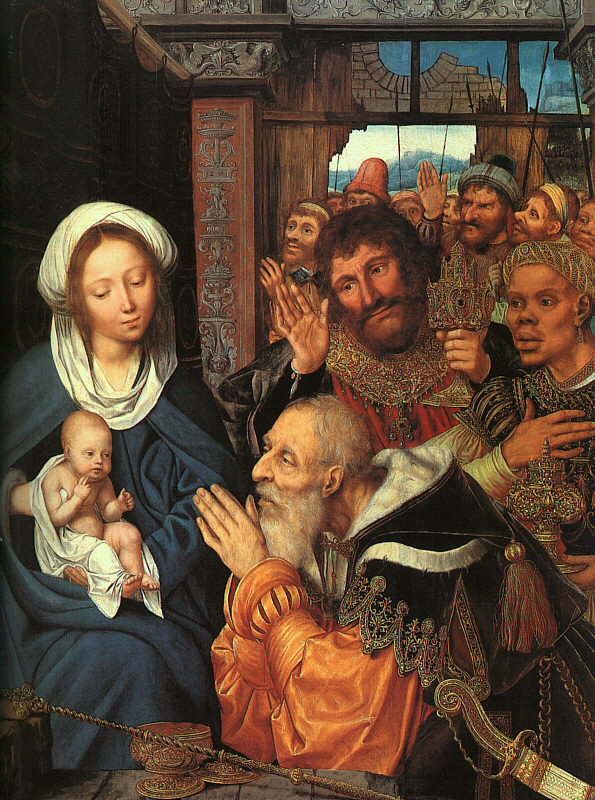 Friday, January 6, is the Feast of Epiphany. In place of St. Stephen's regular First Friday low Mass, high Mass will be offered at the same time, 6:30pm, followed by Benediction. Traditionally, on the Feast of the Epiphany, the priest, wearing white vestments, would bless the Epiphany water, frankincense, gold, and chalk. Chalk is used to write the initials of the three magi over the doors of churches and homes. The letters stand for the initials of the Magi (traditionally named Caspar, Melchior, and Balthasar), and also the phrase Christus mansionem benedicat, which translates as "may Christ bless the house". According to ancient custom, the priest would announce the date of Easter on the feast of Epiphany. This tradition dated from a time when calendars were not readily available, and the church needed to publicize the date of Easter, since many celebrations of the liturgical year depend on it.